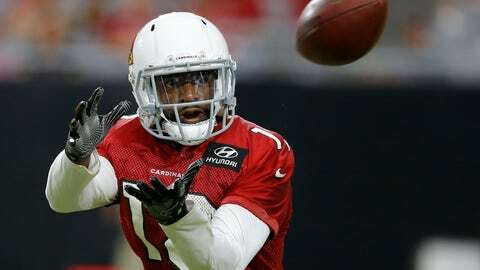 GLENDALE, Ariz. (AP) — Arizona wide receiver Greg Little has not caught a pass in the NFL since 2014 but the down time has not prevented him from making a strong impression in training camp this summer. After being cut by the Browns, he had six catches in six games with Cincinnati in 2014 and has not played in a regular-season game since. He spent time on the Bengals’ practice squad in 2015 and was in Buffalo’s training camp in 2016 before being released. Little’s time in Cleveland was up and down. He was among the league leaders in dropped passes in his three years. He also seemed to clash with head coach Mike Pettine. Little said Pettine did not communicate well, although other players came to Pettine’s defense. “Sometimes I didn’t watch at all,” he said.